“Body”. We got called out by Henri D. yesterday for not talking about it enough as it relates to wine. Well, Henri, we wanted to say we got your note (thank you), and for today's wine (and hopefully for others in the future), we describe today’s wine, this bootylicious “Super Tuscan” and a classic, well-known “overdeliverer” as….LIGHT TO MEDIUM. Really, it is --- this is not a face-melting-guitar-solo, full-bodied, bull-in-a-china-shop weighted wine, no, it’s actually clean and pure and not heavy at all, but it IS packed with snappy red fruit and an easy-drinking, fresh, happy mouthfeel. Uh...and it is $15…. Not surprisingly, the last time we offered this we sold out. After many moons of haggling, we just got a bit more. Schwing! Stefano Chioccioli is the winemaker here (he is a legendary consultant with dozens of 95-100 point wines) and this wine was intentionally made to be a wine to DRINK (oh, don’t worry, Stefano, we shall) while keeping quality high. What a success. Fresh, complex, light on its feet and begging for food, too. A screaming buy (even more so today) as Stefano intended. While it lasts…! Translated, O’Lillo means “hello, my beautiful friend,” and this special offering from Tuscany engenders that reaction upon experiencing it. The wine was put into conical oak tanks for 22 days for maceration and malolactic fermentation, followed by six months in stainless steel tanks to complete alcoholic fermentation and then an additional three months in bottles. Originally the 17th Century villa of poet Antonio Guadagnoli, The Baracchi estate is located on a beautiful slope just east of Cortona overlooking Valdichiana Valley. Riccardo Baracchi and his son Benedetto restored the property in hopes of continuing their family practice of grape growing and winemaking, a tradition that dates back to 1860. 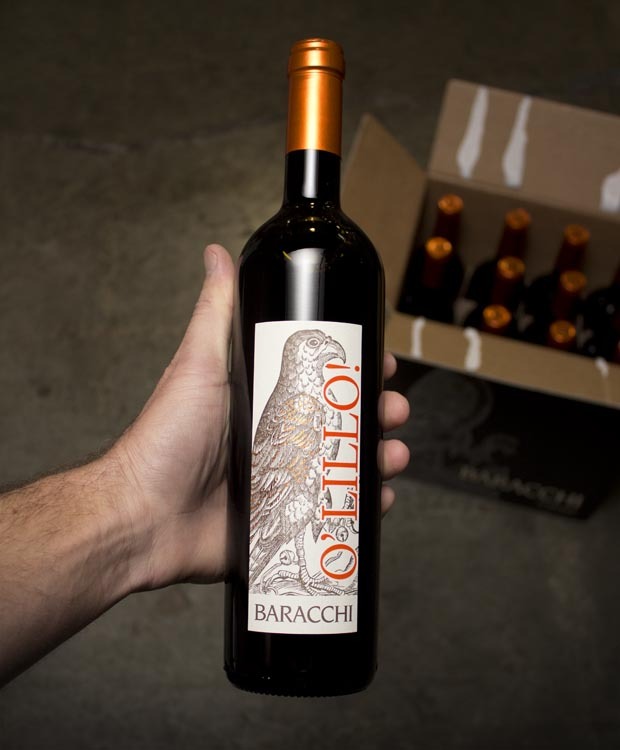 Currently the Baracchi estate covers 60 hectares of land, 22 of which are planted with vineyards. The charming Relais Il Falconiere, exquisite luxury hotel, spa, and Michelin rated restaurant, is nestled between the old groves and new vineyards. This intricate wine is well-paired with grilled meat, lasagna, rich pastas and risotto.